Do Narcissists Get Better with Age? A frequent question in my counseling practice and from website subscribers is “Do narcissists and borderlines get better with age?” Another common question is, “What happens when they get old and are no longer attractive?” These are understandable questions. The latter is a form of anticipatory schadenfreude. The former is a common part of the grieving process. Specifically, it’s a form of bargaining. If things get better after age 55, well, maybe you can endure the next 10 or 15 years, right? Wrong. Well, you can, but things are likely to worsen not improve. Meanwhile, you’d suffer more abuse and allow yourself to be chipped away at, piece by piece, until you’re an empty husk of your former self. Please don’t do that. People don’t grow out of personality disorders. If that was going to happen, it would’ve happened at the developmentally appropriate time — during childhood and adolescence. As for getting better with age, that depends upon how one defines better. Catastrophic consequences that would result in life-changing epiphanies for non-disordered individuals, don’t cause the narcissist or borderline to change either. If anything, it teaches them to change tactics and to cover their tracks better. It doesn’t change their psychology. For example, a psychopathic mother doesn’t want to lose custody of the kids, so she learns to hurt the children in ways that don’t leave marks and escalates invisible forms of abuse. I wouldn’t call that meaningful or positive change, would you? Due to a lack of self-awareness, some of them still play the coquette or Lothario well past their prime. A great place to observe this is Facebook. “You haven’t aged a day in 20 years! You and your daughter could be sisters!” Really? Are you looking at the same photo as me? When their inappropriate, unwelcome, self-deluding flirtations and overtures fall flat, they’ll often label the uninterested target as gay, closet case, stuck up, crazy or something equally derogatory. Do narcissists and borderlines get better with age? The low functioning ones typically decompensate even more with age to the point they may require hospitalization. The high-functioning ones become better predators, not better people. Adult children of narcissists and borderlines understand this all too well. Well into their senior years, they still get up to their old tricks. They triangulate. They find enablers, minions and flying monkeys. They take pleasure in hurting people. They lie. They scheme. They manipulate. They control. They lash out. They gaslight. They play the victim. They hold grudges. And they remain every bit as self-absorbed and selfish as they ever were. MitziAnne Merriweather isn’t her real name, of course. Her real name is straight out of a Jacqueline Susann novel. I wish I could share it, but I won’t. You’d think I was making it up if I did, but you’d be wrong. My neighborhood is composed primarily of retirees and summer and weekend people. I’m the middle-aged whippersnapper on the road. Before meeting MitziAnne, other neighbors warned me about her. The phrase “piece of work” was used repeatedly. Curiosity piqued. They explained MitziAnne recruits people to do things for her like pick up her groceries, take her to restaurants, move furniture and do yard work and construction projects. Also, she’ll try to sell low quality antiques at inflated prices and find other ways to make money off of you. 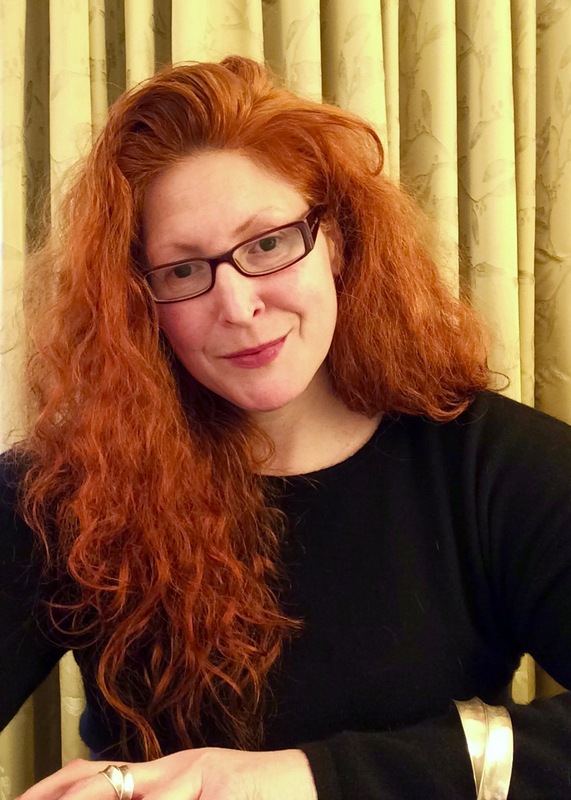 Minion, Enabler, Flying Monkey and Narcissistic Supply Recruitment. Fish got to swim, birds got to fly, narcissists got to have lots of supply (sing to the tune of Hammerstein & Kern’s Can’t Help Lovin’ Dat Man.) It was a misty 6am dog walk one summer morning when MitziAnne Merriweather suddenly appeared on the road en route to her newspaper box. She was in a semi-sheer nightgown, sans bra. Two words: gravity + time. I blinked my eyes in case I was having a caffeine deprivation hallucination. There’s a certain kind of narcissist who relishes manipulating others into doing things for them that they can do for themselves. They brag about all the work and favors they exploit from their minions, enablers and flying monkeys. The more they get others to do for them, the more special they feel. They actually boast and gloat about manipulating and exploiting others. Given how fast MitziAnne went from “nice to meet you” to ” nice people don’t have boundaries with me — aren’t you a nice person?” to “give me your number, so you can start doing stuff for me” my guess is she’s been doing this for decades. Since I’ve boundaries and no emotional stake in MitziAnne, it was actually amusing. MitziAnne was on a manhunt less than a year after becoming a widow. Then again, when you’re in your 80s time is at a premium. Her first prospect is the owner of a regional bank with a terminally ill wife. That’s a problem. The terminally ill wife could linger. She also said the banker was too smart. Translation: too difficult to manipulate. Less than a month later, she found her next prospect — a man 17 years her junior. 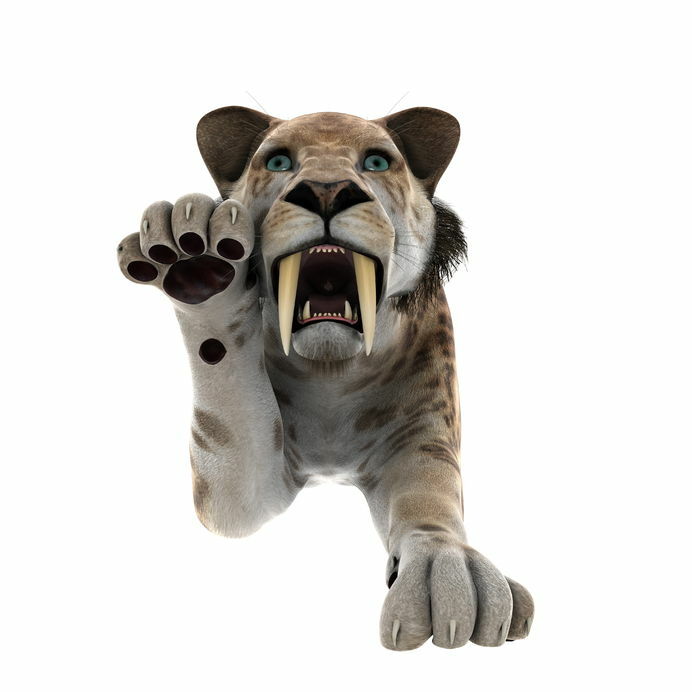 That’s not a cougar situation; it’s a saber-tooth tiger situation. He’s a lovely man and very, very handy. In less than 2 months, she got him cutting down trees on her property, doing home repairs and other construction projects. She’s also redecorating his home with antiques that she finds and he buys. He’s told her he’s not comfortable with it, but MitziAnne is not one to be easily deterred. He’s a widow, too, and was his wife’s caregiver before she died after a long, debilitating illness. Narcissists and codependents are magnets. If there are 100 people in the room, the narcissist and the codependent will find each other. Age is irrelevant. Self-Absorption. Narcissists can’t stand not being the center of attention no matter how young or old they are. MitziAnne is no exception. When socializing, I sometimes time how long it takes her to interrupt conversations that aren’t focused on her and how wonderful she is with a totally random non sequitur — about herself, naturally. The longest she’s been able to go thus far is 3 minutes and 42 seconds. Talking about politics? She tells the story of how Trump bought her old family farm. Is this true? Not a clue. Laughing about different movies or TV shows? She talks about the cocktail dresses she sewed for herself and all the rich suitors she had. Neighbors asking you about your upcoming vacation? She jumps in and talks about the giant fishing cruiser her husband bought, how she decorated it and the trips they took on it. Discussing development plans in the neighborhood? She tells the story of how she targeted and manipulated herself into her second marriage. That poor fellow didn’t know what hit him. She’s proud of this and gives relationship advice that I need to learn how to be, and I quote, “conniving” to get a man. This answers another often asked question — yes, sometimes narcissists are very aware of what they’re doing. Mean Girl Behavior. Many female narcissists started out as mean girls. They engage in one-upmanship, putting down their peers in order to make themselves feel better. When I met MitziAnne we we were both single. She’d bemoan whether or not she’d ever have another man in her life. To make her feel better I’d tease her that she’d probably find herself a boyfriend before I did. And bless her heart she did. As I was leaving, I told her how happy I am for her. She put her hand on mine, looked me in the eye and said, “I hope you don’t think I invited you over to flaunt my new relationship at you.” Well, not until you said so, MitziAnne. 81 going on 15. Damsels in Distress, the Death Stare, Triangulation, Attention Seeking/Drama Diffusion and Projection. Many female narcissists and borderlines seduce their victims by playing the Damsel in Distress. It’s Kryptonite to people pleasing, codependent men and women who want to play the hero or rescuer. To be fair, there are also male narcissists and borderlines who like to play the Dude in Distress. I’ve dated more than one of them in years past. This doesn’t change with the passing of time. Eventually, MitziAnne invited me over to meet New Man and for martinis on the deck. I asked the gentleman about himself, his career, moose hunting trips and other interests. MitziAnne interrupted frequently with MitziAnne-centric non sequitur including one that was a real doozie. In fact, it was a five-fer. If looks could kill, I’d be 6 feet under. MitziAnne gave me the Death Stare. Anyone who’s been in a relationship with a narcissist is familiar with the Death Stare. You typically get it when you speak the truth about the narcissist. Frankly, I’m more worried about New Man being steamrolled than MitziAnne. In addition to the Death Stare, there are four other narc phenomena at play. First, the wuss thing was MitziAnne’s attempt to Damsel. Although, at 81 it’d be more accurate to call it a Dowager in Distress move. Second, by saying it was Banker warning her about New Man taking advantage of her, she was creating a triangle (victim, persecutor, rescuer). Third, she manufactured a problem that doesn’t exist and he spent three hours reassuring her (attention seeking). Fourth, if anyone needs to have boundaries and not be a wuss it’s New Man. MitziAnne was projecting. If you’ve any lingering doubts about narcissists, borderlines or psychopaths changing or improving with age, doubt no more. But if you do still have doubts, just visit support forums for the Adult Children of Narcissists and Borderlines. They’re still scheming, still sniping, still abusing, still manipulating and still crazy after all these years. Or, you can flush another 5, 10, 15 or 20 years of your life away. The choice is yours. EPILOGUE: MitziAnne hasn’t invited me over for martinis since the wuss-puppet master incident. Whoops. I had parents who were traumatized at a young age in their own families and so when it came time to raising their own children into functioning people, they failed miserably. I was depressed and totally confused about life up until my early 40s. I did a total of 15 years of therapy and while I’m sure I made some progress, I was still hopeless and in despair when I left it. I did have the epiphany one session that I was hugely narcissistic. My last therapist confirmed this for me and said it was “pretty extreme” after I had the realization and cried for the first time in therapy. This article came at just the right time because it’s only been in the last few months that I feel like I have COMPLETELY emerged from a dense fog. It’s like suddenly waking up in mid-life from a nightmare, having just grown a pair of legs and a set of eyes, and setting off, trying to make the best out of the rest of your life. How to talk to women, how to make friends, how to structure my free time: all these things were insoluble puzzles for me most of my life. Now they seem so obvious. I don’t feel like I know anyone who would really understand what I went through. I don’t know what to do with all the shame that eats away at me as I look back on things that I did and how I treated people in my past. I feel like my present surroundings represent who I was in the past and I want to just start fresh somewhere else but I wonder if that is really necessary. I don’t think I’ll be like the personality-disordered person in this article. I hope thigs go well for you moving forward. It might not be a bad idea to find a support group to keep you on the path. I heart Paul Simon. I seem to remember him singing this in a classic SNL episode in a turkey costume (must’ve been Thanksgiving time), but couldn’t find it on Youtube. “Less than a month later, she found her next prospect — a man 17 years her junior. That’s not a cougar situation; it’s a saber-tooth tiger situation”. MitziAnne has 3 children. One sounds like she qualifies for a diagnosis of BPD and alcoholism and is on disability. The other daughter is high functioning, but very angry and coarse (the opposite of ultra feminine mom). The son is a very sweet man who’s super helpful and probably super codependent. She used him to catch her second husband. MitziAnne likes to tell the story of how when son was 5-years old he said to future husband #2, “I sure would like a dad like you to take me fishing.” Given how proud she is when telling the story and that’s not something that sounds like a 5-year old would say without an acting coach or director, I’m guessing MitziAnne orchestrated it and is still pleased with how well it worked out for her. Dr. Tara please write a good fictional novel or something comedy related stuff and turn it into a book, it’s gonna become a best seller, you’ve got an amazing imaginative mind, just let the stuff get out of the box. “He’s a lovely man and very, very handy. In less than 2 months, she got him cutting down trees on her property, doing home repairs and other construction projects. She’s also redecorating his home with antiques that she finds and he buys. He’s told her he’s not comfortable with it, but MitziAnne is not one to be easily deterred”. Hahaha! ???? I’m gonna fell in love with The Adventures of Horny Granny(@)80. And thank you for sharing the details of her family. She used her son as a bait hahaha! ???? Guess what she’ll do it again use her grandson as bait to get married again at 105! ???? It would never occur to me to do this kind of thing even once. So it boggles my mind when I try to grasp how *routine* this is for the PDp. It’s all part of their script. They can do it without batting an eye. And they probably wouldn’t set off a lie detector, either. Narcissists and codependents are magnets. If there are 100 people in the room, the narcissist and the codependent will find each other. Word. There’s like a predator/prey pheromone or something. Ok. I’m a psychologist. I know all this intellectually. Unfortunately, the nightmare of actually living with this stuff just cannot be accurately described in the literature. I am married to a wonderful man whose ex is… well… a living example of why this site exists. When I read the criteria for any of the cluster B diagnoses, I can’t help thinking that the people who wrote up the clinical descriptions have clearly never met one of these monsters. Still, I re-read the DSM whenever something happens and I want to remind myself that I do indeed know what I know. Most recently, yesterday, I discovered that she broke into our house AGAIN to leave things. Yup. In the bottom of my husband’s closet, I found a box with 3, yes three! home-made wedding photo albums from their wedding, plus a set of their honeymoon pictures, plus hundreds of pictures of her posing in a bikini (she is 49. She started competing in bikini contests when she was 46. She has never even placed, but is still happy to shell out $300. for custom-made bikinis– and then cry about how poor she is…. but I digress), hundreds of pictures of the kids from when they were little (but 8, 10, 12 or more multiples of the same pic), and lots of pics of them together before they were married. Oh, and she left “first locks of baby’s hair” boxes for each of the kids. On top of that, our photos of the kids are missing. They have been divorced for 15 years. She left him for her lover, who she married. I have been married to my husband for ten years. The kids are adults now. My husband cleared the house of her images very shortly after she left. We don’t hang on to stuff, so it’s not like we come across forgotten boxes. She did this, and this is the second time! the first time, it was just a few kid pictures that she slipped into my husband’s closet. Finding this most recent thing was surreal, like watching an episode of a crime drama featuring a stalker. We are more than a bit unnerved, because as crazy as it’s been, it’s getting stranger as she gets older. We also think she has help getting into our house because she manages to get in despite locks changed, and shut down our video surveillance and alarm system. Yes, we report her to the police, who do not take it all that seriously. Unfortunately, she is not just a little “kooky.” To be in her presence when the mask has slipped is to know the darkness at her core. Very unsettling. My husband has been no contact for quite a while now, and yet it continues. 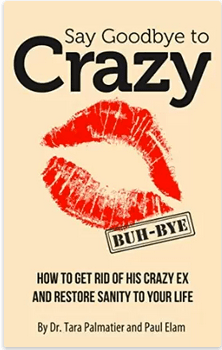 Since nothing in my professional training really prepared me for the reality of this, I read Say Goodbye to Crazy. Great work. Very validating for me, and my beloved. Sorry if this is incoherent. I’m still reeling from yesterday’s discovery. I’m Indonesian male and I just broke up with my ex for 2 month after relationship for 3,5 year. At first I know her I already know if she have a boyfriend for 7 year long distance but she said to me if she already broke up with him for a year and I start relationship with her until to discovered 4 month later if she lie to me because she just broke up with him after 3 month in relationship, I still keep my relationship with her because she asked me to help her move on and forget her ex. All this 3,5 year with her she always compare me to some one else be it her ex, her guy friend or her father, she always pointed my flaws and mistake and don’t accept me for who I am when she want me to accept her who she was, she was very demanding, needy, clingy and isolate me with my friend. She always critic me because I was ugly according to her always want me to lose weight, I did a diet but she was not consistent and when my diet fail she just blame me and said if she hate fat people, she was always envy to her friend and always want me to give her freedom when she isolate me, we off and on 5 time during our relationship and Shen wee break up she always threaten me to commit suicide, she was critical to my family and I always defend her, before break up she was acting distant only to know if her coworker hit and flirt with her although he know my ex still in relationship, he was some kind of player type because she close with my ex and another girl, and then one day after our 3,5 anniversary I caught her with him because all this time she erased her chat with him, she doesn’t want to admit if she has something with this guy only to follow find after I hack her what’s app if she flirt with each other and she break up with me for good this time, after our break up I go into emotional mess I want know her real reason to cheat behind my back and she give me “I want to leave you 6 month before and I want to leave you when you finish your college” ( I admit I late graduate), because if you are skinner I wouldn’t want to fall for him. My parent and her parent already meet for a few times during our relationship and her parent already approve our relationship but she decide to leave me for this guy. When ever I contact her after our break up I got into emotional wreck because in there she has a friend and find my replacement but me all alone. Recently she asked me to delivered her baggage and I promise her to bring her baggage to her house but I don’t want to experience the emotional wreck again, please Dr. Tara give me advice. Because this is my first relationship and I love her so much and always feel empty after our break up but I don’t want to experience that emotional wreck again. I block her from my phone and social media but this empty feeling won’t go away and she keep in my mind although she emotionally abused me. From experience, I’d be concerned that, on some level, your husband likes or is turned on by the craziness from the ex.